Autumn. Change fills the air as the leaves turn to every shade of gold and ruby. The moment you walk in your door, you feel a sense of relief and warmth set in. Your front windows cast a glow into the already glowing atmosphere. Friends drop by, and you find yourself utterly content. An entry table to set down your things the moment you walk in the door is essential. Having a place for your keys, sunglasses, devices keeps them accessible, along with little things you stash by the door like bike lights, a borrowed book from a friend, or a coffee mug. 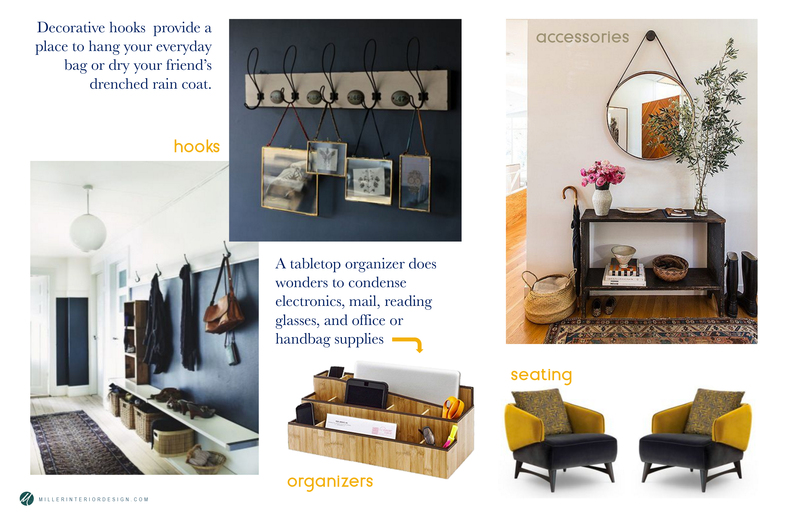 It also serves as a place to store things for coming & going, like a guest’s coat or a leash for your morning dog walk. 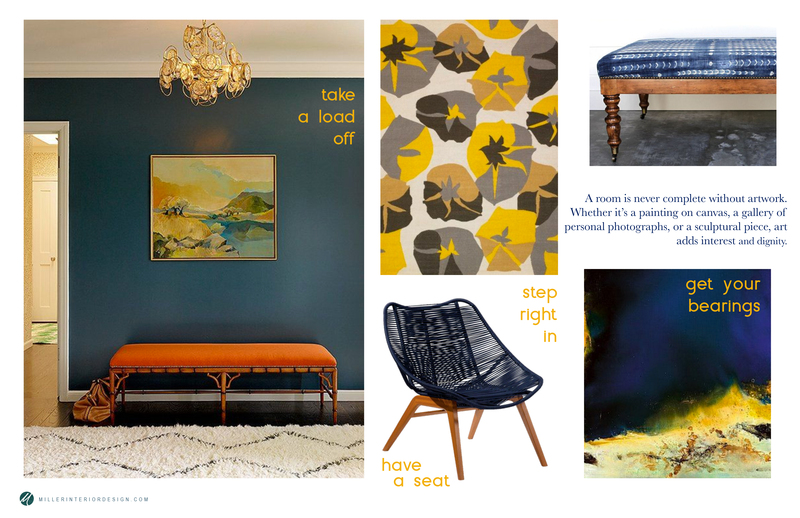 Another important element of an entryway is a bench or pair of chairs to sit and put on your shoes. Whether it’s setting down your briefcase while you put on your new work shoes or a little one who needs help tying their own, a place to set or sit is indispensable. Imagine walking in with your hands full of groceries, and the phone rings. No problem, set them on your gorgeous turquoise bench and multitask with ease. 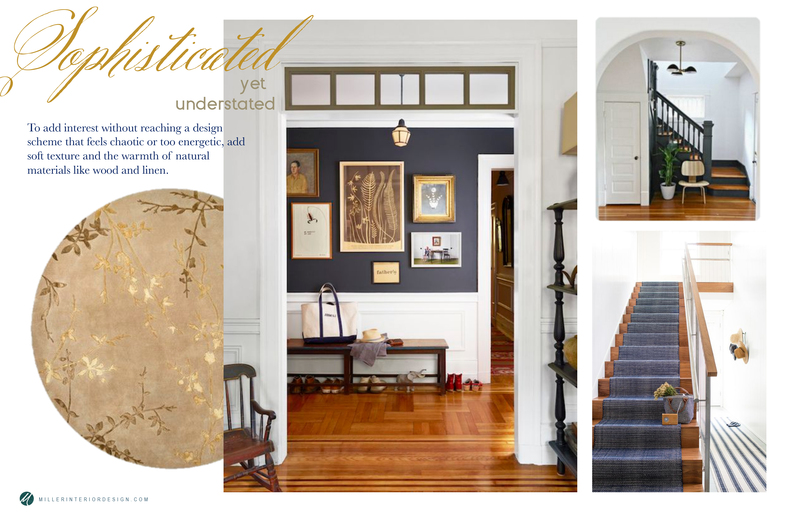 Plus, what’s more sophisticated than a put-together entryway design? Whether you’re a hide-the-mess person or a live-in-the-mess family, an organized entry accommodates your every need from the moment you walk in the door. 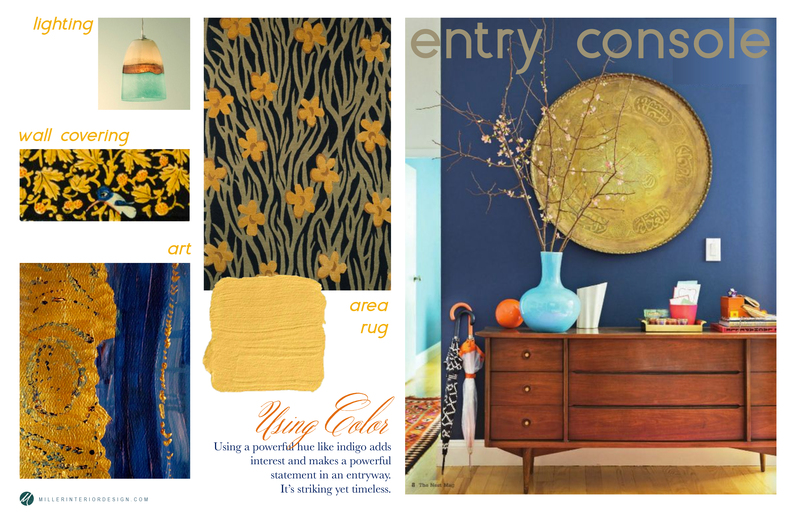 For a more understated, elegant look, the color scheme can be muted down to a powdery navy blue and a pale goldenrod. 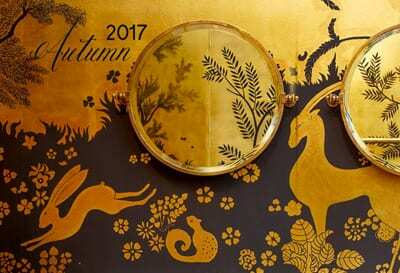 After all, the entrance to a home should envelop you like a friend’s embrace in the crisp air of autumn. Here in the Northwest, we could all use a little warmth and light with the lovely gray days ahead. A simple but delicate pattern on an entry rug is functional and eye catching, completing the space. A rug or reeded mat draws each guest in and protects your floor from the leaves and rain drops that wander in on coats and boots and tennis shoes alike. A mirror in your entry will come in handy far more than you think – that pesky piece of lint or stray hair won’t make it out the door in this home! Handwoven baskets add charm and versatility; store rain boots, pet supplies, spare keys and miscellaneous odds and ends. A catch-all for life’s necessities, baskets and bins ensure you always know where to find exactly what you need. 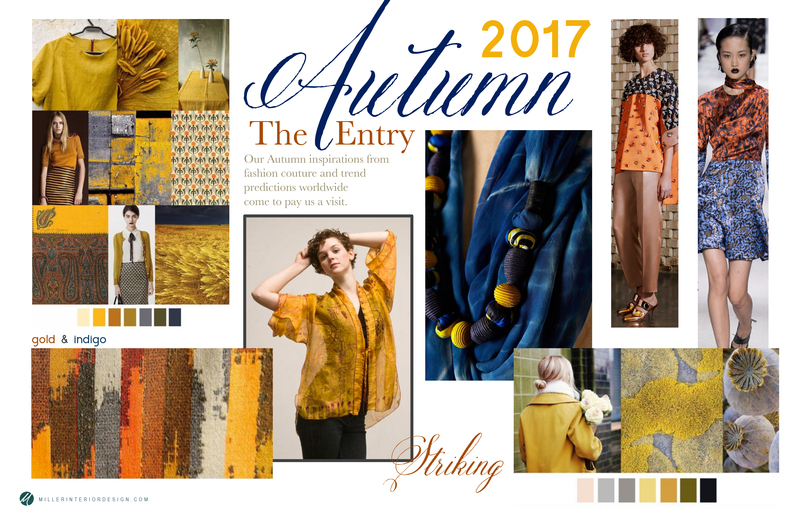 Our projection for Autumn is crafting an entryway design that lets you host friends and family with ease, to sit in the backyard and watch the leaves fall while they enjoy a cup of cider. Enter in, and stay awhile.